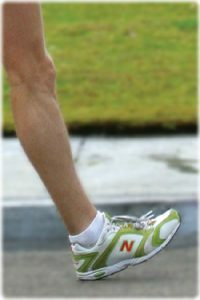 Learn the fast, fit (and Olympic legal) race walk techniques at our 1-hour Race Walking Clinics. Clinics are offered once each month, April-September on the third Monday of the month. See the Events Calendar for directions & time. Twin Cities Race Walkers support and organize judged race walking events in Minnesota. See the Events section for a current list of judged race walks that we are aware of in Minnesota. Twin Cities Race Walkers is a USATF registered club. Membership in USATF is encouraged, but not required for club and non-championship events. Twin Cities Race Walkers encourages race walkers to participate in both judged and unjudged race walk events. We hope each walker will follow the rules of race walking to the best of their ability, regardless of whether there are race walk judges or not. When competing in unjudged events, it is important to be an ambassador for race walking. Keep smiling! Understand that you are competing against yourself – not against someone with a less rigorous interpretation of the rules of race walking. Be friendly. We want to attract new people to our sport! Twin Cities Race Walkers promotes race walking year round.